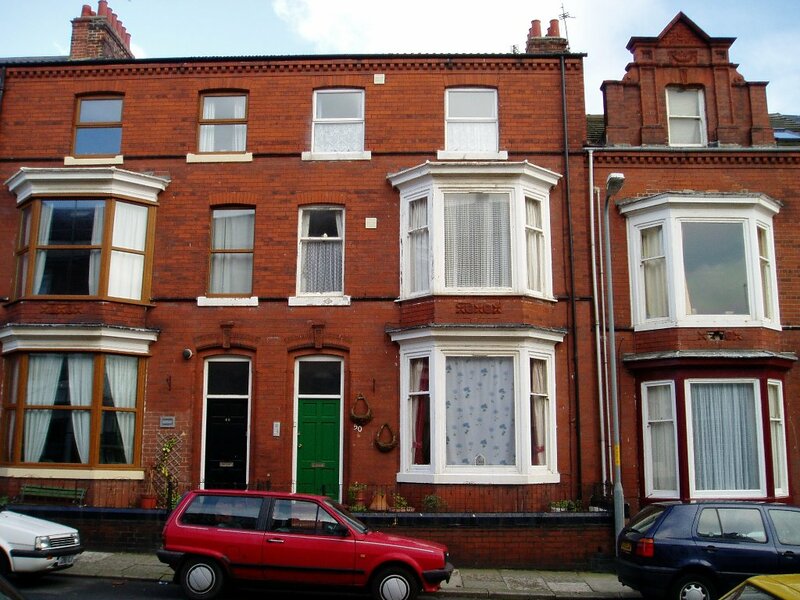 While in England, my fiancée and I rented a tiny studio flat on the top floor of a three-storied terraced house, each storey containing its own apartment. 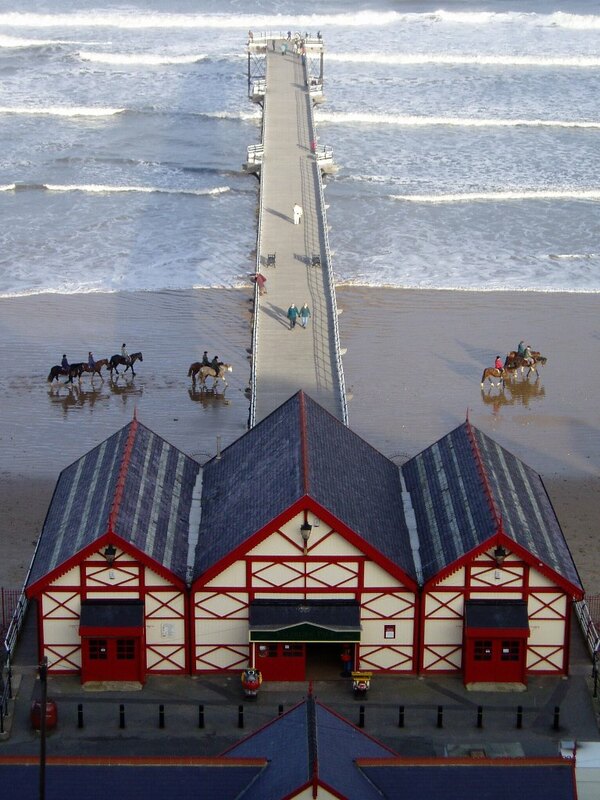 We lived in one of the “jewel” streets in the seaside village of Saltburn-by-the-Sea where stories of pirates, sunken ships and smugglers flourished. The street we lived on was called Ruby Street. 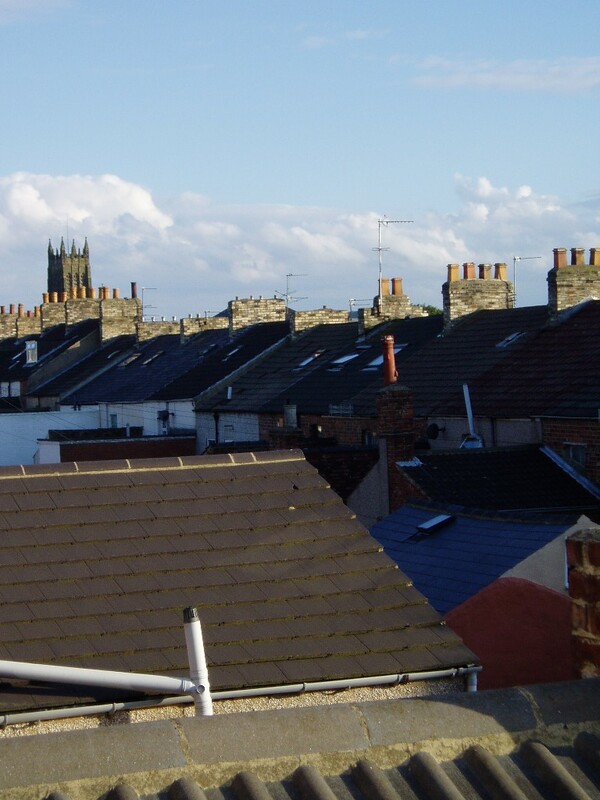 Our back window (there was only one) gave us a view out over the rooftops of the other terraced townhouses in the area but we didn’t open it much. 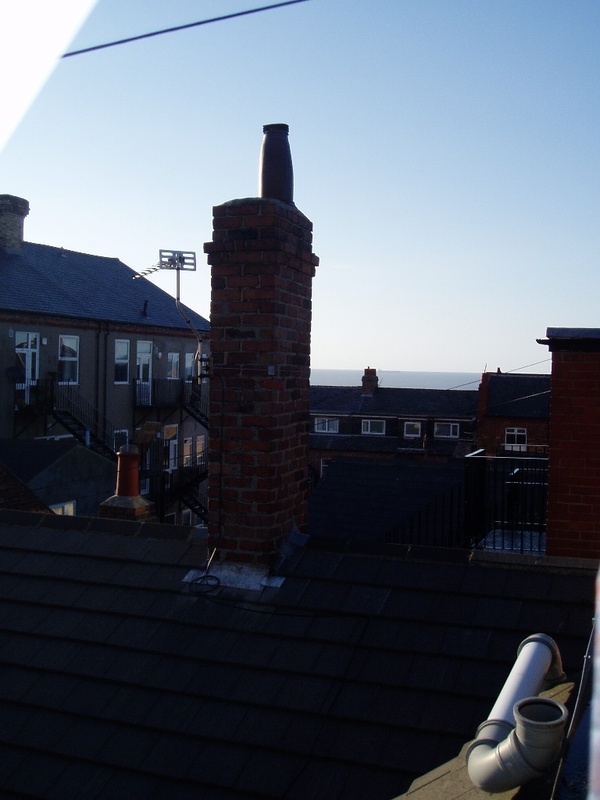 There was a pipe just to the right outside the window that consistently emitted the stench of blocked drains or sewage into our bedroom. Can you see the offending pipe? When a large blue skip bin appeared outside the house directly across the road from us, it was clear that some big renovations were about to begin. Well, either that or someone had passed away and they were clearing out the property. We weren’t entirely sure, and we didn’t really care. The only difference it made to us was that it put a bit of a squeeze on car parking in the street for a while. One morning as I leaned against the kitchen bench, gazing out the window and munching on a Bovril slathered piece of toast, a middle-aged man in a green sweatshirt and track pants shuffled slowly past the blue skip bin. Seconds later, he shuffled back past in the other direction, peering curiously into the skip. I watched bemused from my elevated vantage point as he shuffled back past a third time. What is he doing I wondered? Is there something in there that he wants? I kept my eyes glued on this mysterious character as he turned square on to face the skip bin. His shifty eyes flicked left down the street. Flicked right. And before I could choke on my crust he had hoisted himself up and swung into the skip with the finesse of an Olympic gymnast on a pommel horse. My mouth fell open, bits of chewed toast tumbling onto the carpeted floor at my feet. What IS he doing?! For ten minutes I watched the man shuffling about inside the skip bin, before I finally called Roger into the kitchen. “You won’t believe it,” I said. “Look at this guy,” I exclaimed pointing down to the bin. “What the hell is a skip rat?” I sniggered. I listened attentively as Roger told me the customs and behaviours of a skip rat, a name given to a person who rifles through skip bins seeking antiques, treasures or just a little something for the mantelpiece at home. 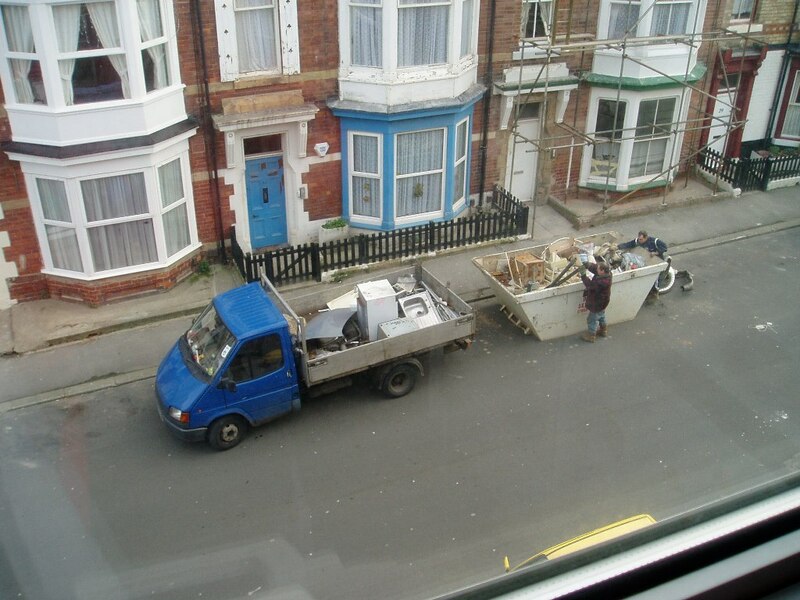 I threw him a dubious look before returning my attention to the man in the skip. Our rat’s rummaging had been a success, and he leapt out with an old painting and a box under his arm, scurrying away with his precious trophies. However, by midday, he was back, and this time he spent three hours in the skip, assembling his discoveries on the footpath before sweeping them up in his arms and scurrying off home again. I was stunned! These English are crazy, I thought, but that was just the beginning. For the next couple of days I watched skip rat after skip rat stroll down the street, leap in, rummage about, leap out with their treasure troves and disappear. The rats came in all genders, ages and classes. They even came in pairs, and I snapped my new digital camera gleefully at the spectacle playing out before me. For two weeks I stood at my kitchen window, camera at the ready, drinking tea and dunking my biscuits with delight every time someone new climbed into the skip. “Bazz found a gold necklace in here the other day,” I heard one skip rat say to another. “A gold necklace…” I murmured, my ratting instincts tempting my better judgement. The next day when I arrived home after work, the police were standing outside the house next to the skip bin. I raced upstairs and took up my viewing posse next to Roger in the kitchen who had been keenly watching events unfold. He had no idea why the police were there, and since we had carefully logged the comings and goings over the last two weeks, we went downstairs to see if we could be on any assistance. Or if I’m truthful, to be nosey! Pffffftttt! Unusual? UNUSUAL? My eyes almost popped out of my head. “I did notice a blue mark III Fiesta parked here this morning when I went to work, but that car was here yesterday loading up stuff out of the skip” replied Roger. The policeman became very interested. “I don’t suppose you saw the registration?” he asked hopefully. He stared in disbelief. “Can I see the photograph?” he asked. “You betcha officer!” I replied, and I bounded back upstairs as quickly as my slippered feet would carry me to retrieve my digital camera. While I was fetching, Roger explained that I was a naïve Kiwi from Down Under who had never seen “skip rats” in action before and that was why I had taken a photograph. He was trying to convince the policeman that I was not a stalking, obsessive curtain-peeping weirdo! Caught on Camera! I have removed the license plate after consultation with my legal team. As it turned out, a male relation of the woman we had photographed loading up her little blue car, had returned that morning and broken into the house that was being renovated. The photograph that we had unwittingly snapped enabled the Cleveland Police to identify the licence plate and catch the culprit. And if it wasn’t for us pesky kids, he would have got away with it!